The WS-Security Binary Token Use Case client authentication is performed with a Binary Token which appears at the SOAP layer as a signed supporting token that is always sent from the client to the service. 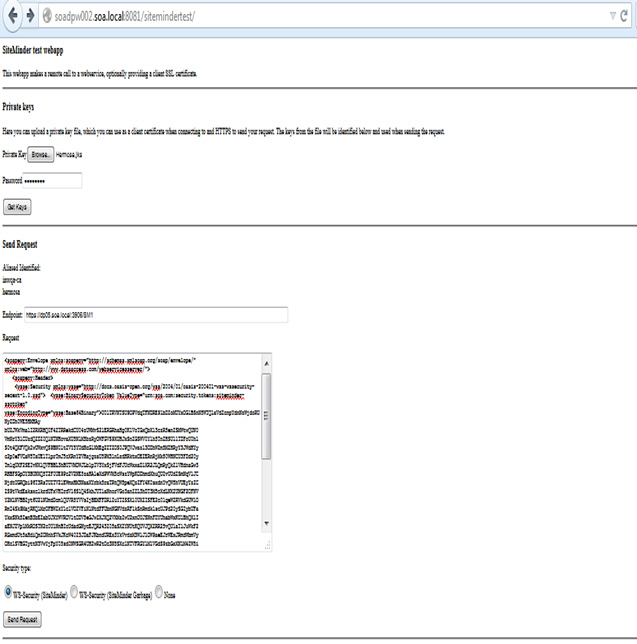 The user is authenticated using a Binary Token password in the WS-Security header. 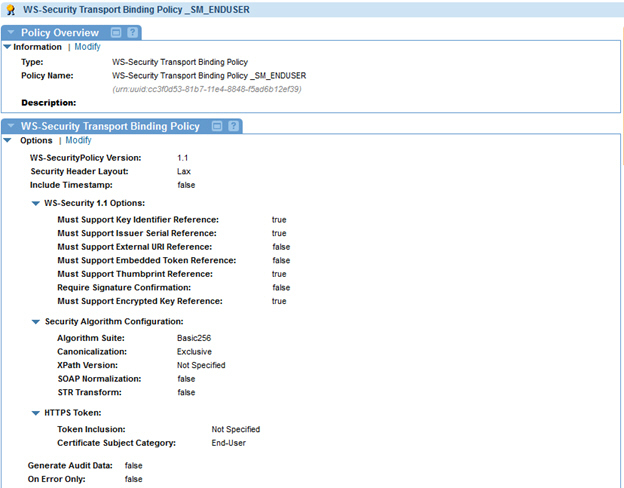 This use case is composed of the Authentication Policy, WS-Security Transport Binding Policy, and WS-Security Supporting Tokens Policy. 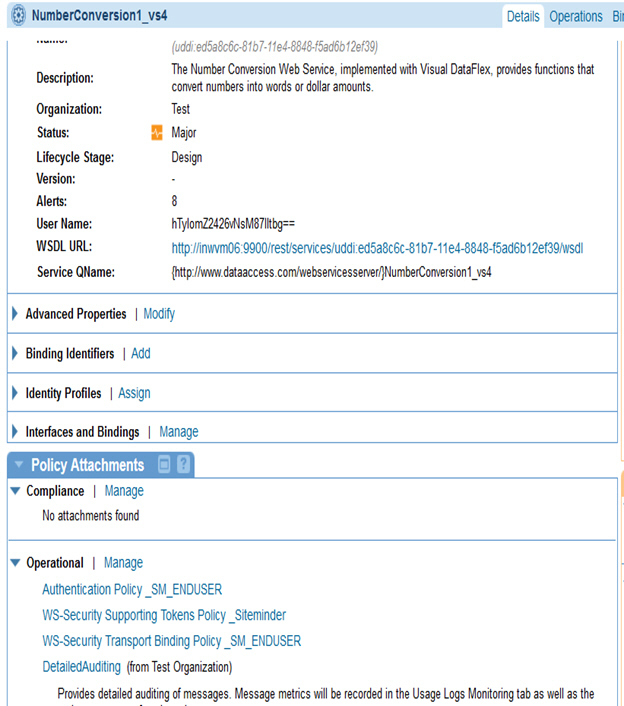 In the Policies folder, use Add Policy to create the following policy configurations. 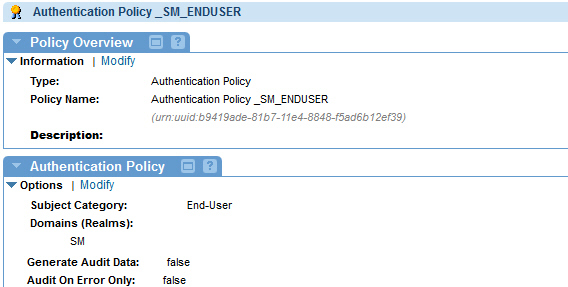 Create an Authenication Policy with Subject Category = End-User, and Domain (Realms = CA SiteMinder). 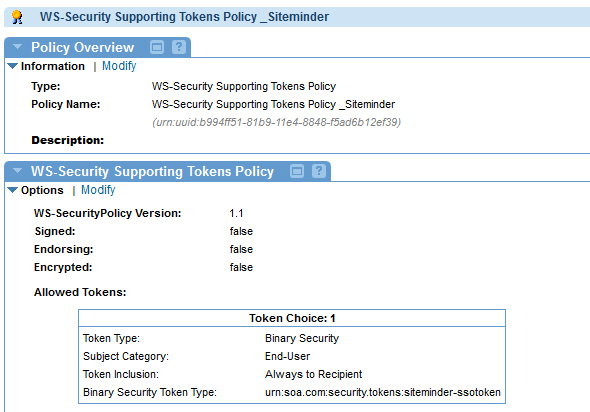 Create a WS-Security Transport Binding Policy with HTTPS Token > Certificate Subject Category = End-User. 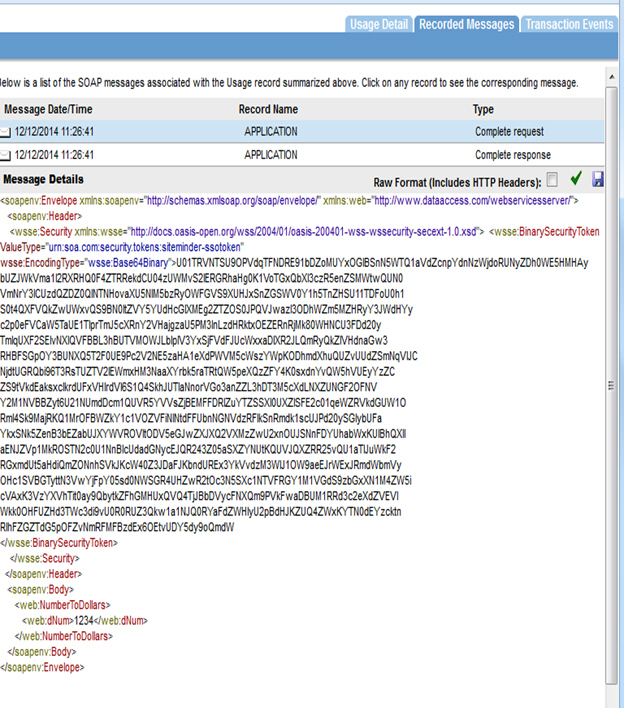 Launch the SiteMinder client and send request with the Binary Security Token. 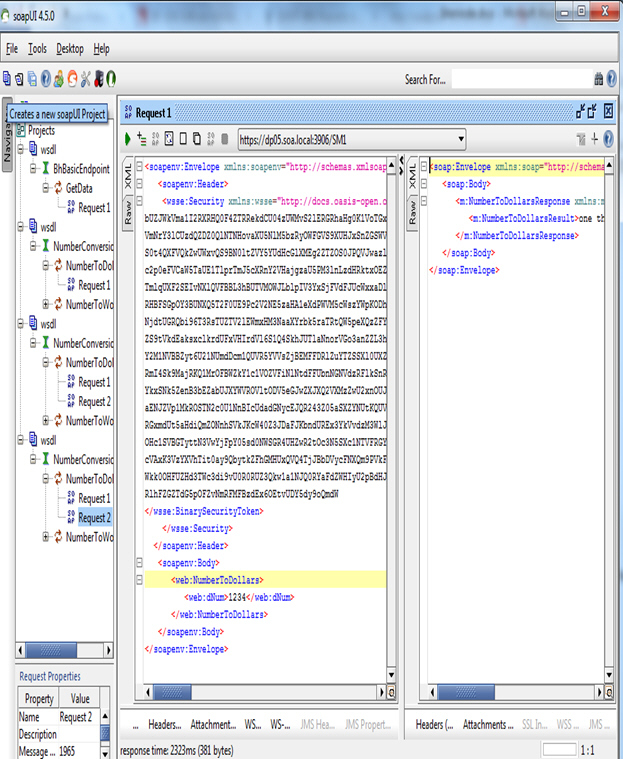 Launch SOAPUI and send a request with the Binary Security Token. 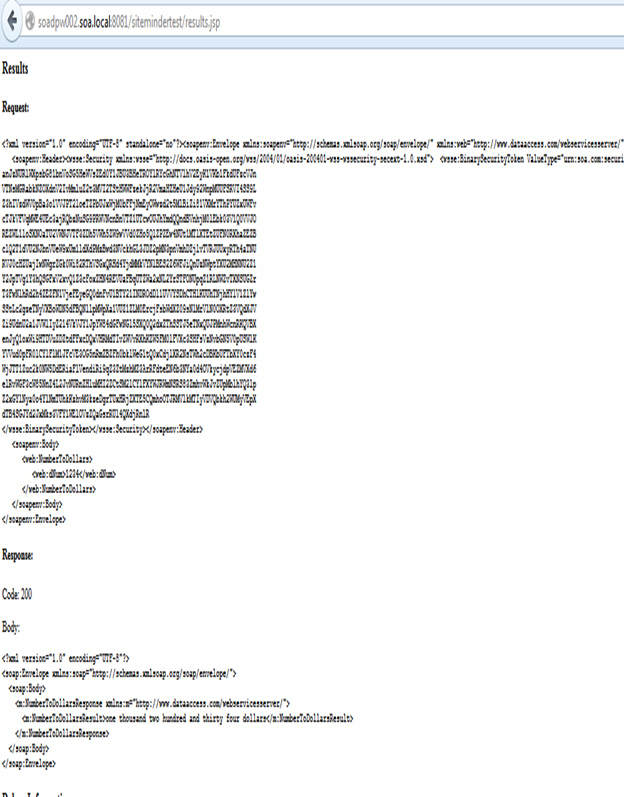 Send requests to the virtual service and view the usage data in the Services > Monitoring section.